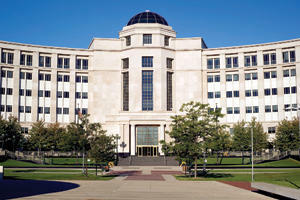 LANSING, MI (MPRN)-- State lawmakers want to go to the Michigan Supreme Court to find out if something they did in their last session is legal. Attorney General Dana Nessel is considering a request for a formal opinion. Some Democratic lawmakers want to know whether the Republican-led Legislature’s adopt and amend tactic used last year is okay. Lawmakers adopted two ballot proposals – then made major changes to them – instead of letting voters decide. Representative Triston Cole (R-Mancelona) introduced a measure to ask the state Supreme Court for its opinion. “By moving this resolution and skipping over this process that could take lots of money and lots of time, let’s just go straight to the source where it will ultimately end up – which is the supreme court,” he said. Democrats in the state House say they welcome the Supreme Court’s input and have no doubt the court will rule the move was unconstitutional. The state Senate also plans to introduce and vote on a similar measure Wednesday.